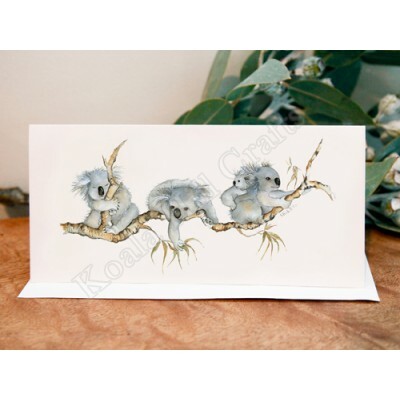 A gorgeous card featuring Australia's most iconic animal. This image is only available in greeting cards. The Whimsies Series features Australian wildlife described as "whimsical" or "quirky". Quantity 1 unit, wholesale ... 6 greeting cards with 6 white envelope. Each card and envelope is sealed in a transparent sleeve. Artist Lesley Davis is an award winning artist best known for her delightful images of Australian animals and birds.